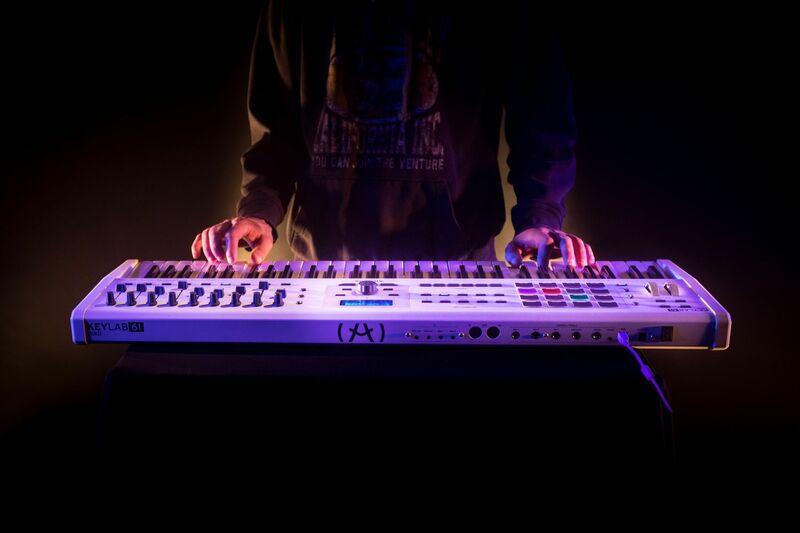 KeyLab MkII by Arturia is . KeyLab MkII is designed to be a luxurious, expressive tool for your studio or live rig. 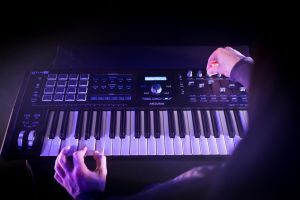 Unsurpassed connectivity, effortless integration, customizable interface, and inspiring included software; there simply is no other MIDI controller quite like KeyLab MkII. When you're in the creative zone, you need music tools that encourage you. It's Analog Lab mode gives you ultimate control over this powerful included software, automatically mapping KeyLab MkII's controls to specific functions and parameters within Analog Lab. The Category buttons let you immediately refine your search for the right sound, while the jog wheel gives you precise control over preset browsing and selection. The Live button can be used to activate Split mode and set the split point. 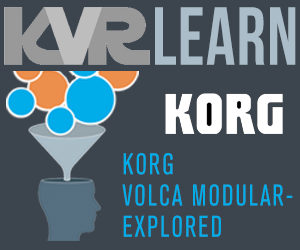 Choose from three layers of definable controller assignments and Macros within a Multi, giving you the ultimate hands-on Analog Lab experience to bring the sound of those iconic vintage synths and keyboards to life. The DAW mode quickly switches control to elements within your recording software. In this mode, the central jog wheel lets you move the playback cursor; the Next and Prev buttons let you shift focus on tracks by 1 or 8 channels at a time; the faders and knobs control the track levels and pan; and the Track Select buttons let you focus on particular tracks, letting you use the extensive DAW Commands on specific tracks. The User mode lets you decide how KeyLab MkII works. 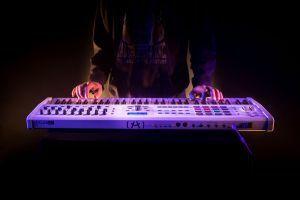 Quickly choose one of the 10 User maps using the jog wheel, and practically every button, knob, fader, and pad on KeyLab MkII will react exactly as you choose. 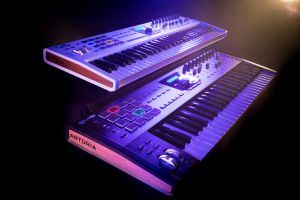 Using the full-featured Arturia MIDI Control Center, you'll be able to assign any MIDI CC function you desire to any control you wish, as well as set the minimum and maximum values to make sure you're always hitting the sweet spot. Do you use Massive, Serum, or Omnisphere? Create a map just for them. In a mixing session? Create a map to control your effects and audio busses. Mastering? Get hands on, tactile control of every sensitive parameter in your multiband compressors, EQs, and limiters. You can even use a single map to control your favorite parameters in multiple effects and instruments at once. Not only does KeyLab MkII offer thorough DAW control using the industry standard Mackie HUI data language, it also features 10 presets for some of the most popular recording software titles out there. 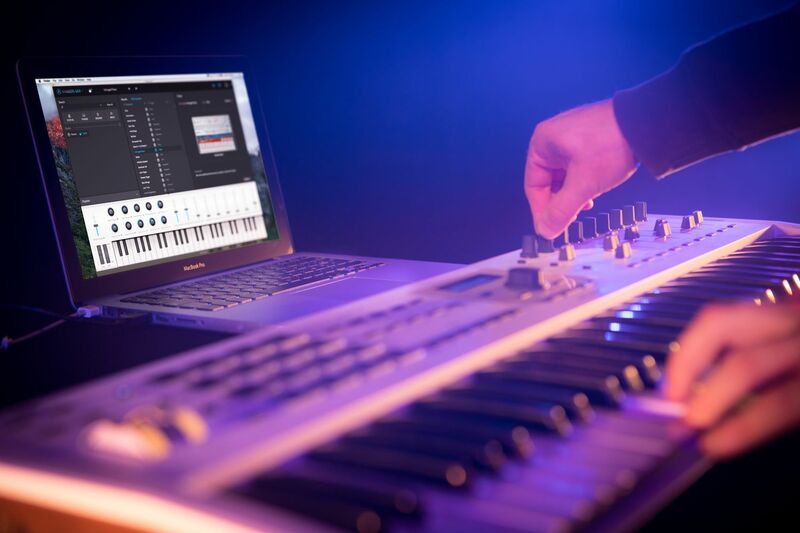 To keep your session free of guesswork, KeyLab MkII also provides you with 10 magnetic DAW overlays, so you'll know exactly what every button does in your recording environment.